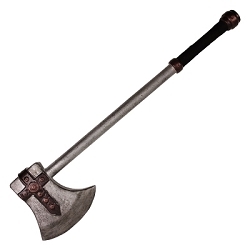 This is a pretty sweet axe! 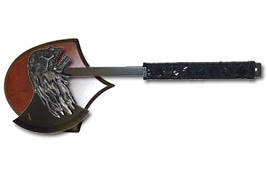 This medieval alien battle axe has a 440 sharpened steel blade that is adorned with an intricate alien skull. There is a detachable knife inside the Alien's head! The handle very durable ABS plastic covered over metal. The knob ( end cap ) has a sweet looking curved blade that is sharpened steel. This comes with a wall plaque so you can display it after you're done slaying aliens. 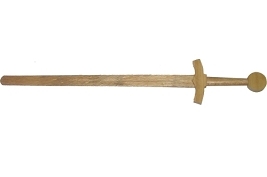 This axe is 21 inches long and the blade is 10 inches.